This cake originated in Eastern Europe! I thought it would be fun to try, and my mom made it for me on my 19th birthday. 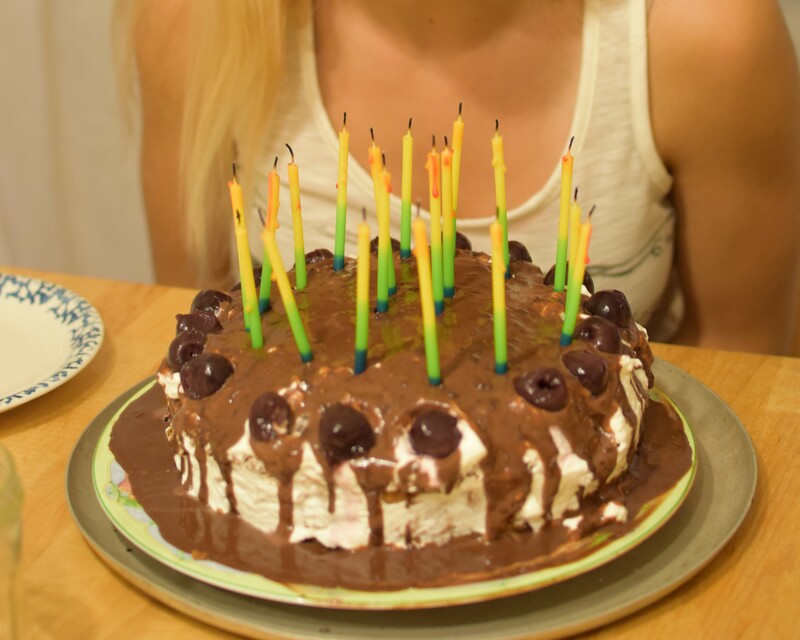 Great excuse to eat whipped cream and consume rum:D The cherries were soaked in the rum overnight. This cake definitely tasted like the real deal. Yum!